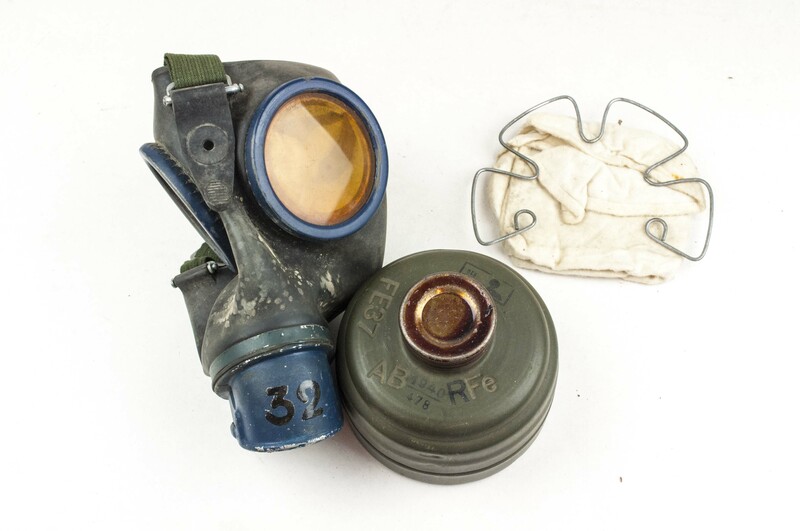 Throughout world war two the German army issued and carried gas masks. After the terrible experiences in world war one these where thought of as one of the most important pieces of equipment issued. 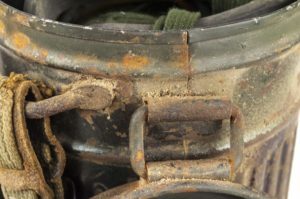 The Germans utilized every gasmask with a metal canister so to keep the gasmask in good usable condition. 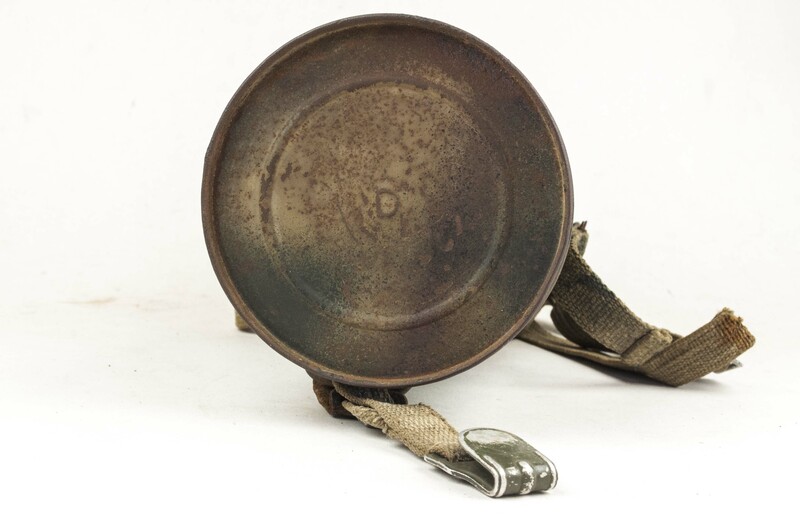 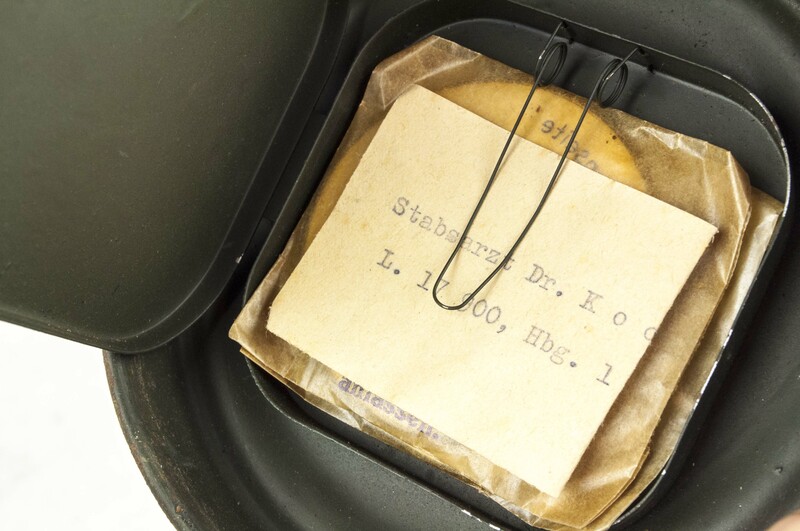 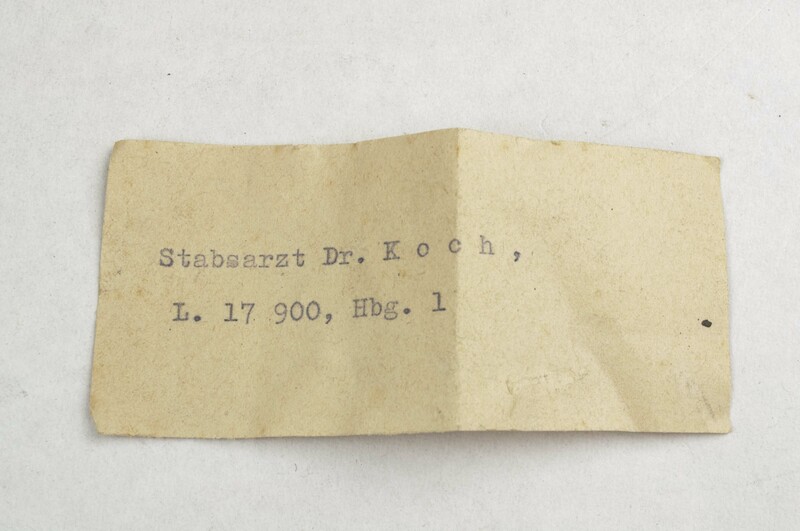 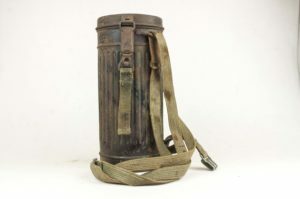 The metal cases where first introduced in world war one and further evolved through the Reichswehr and ultimately in 1935 by the Wehrmacht. 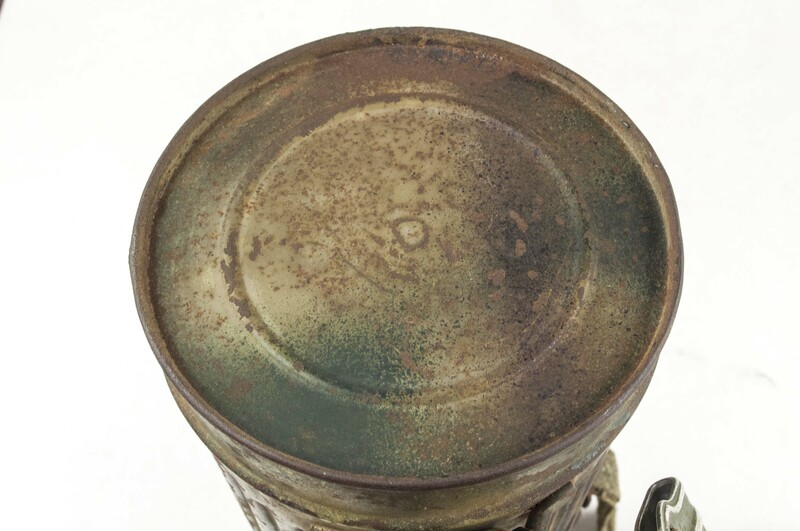 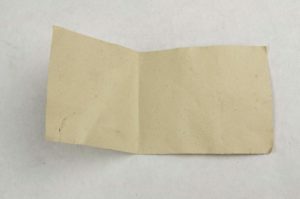 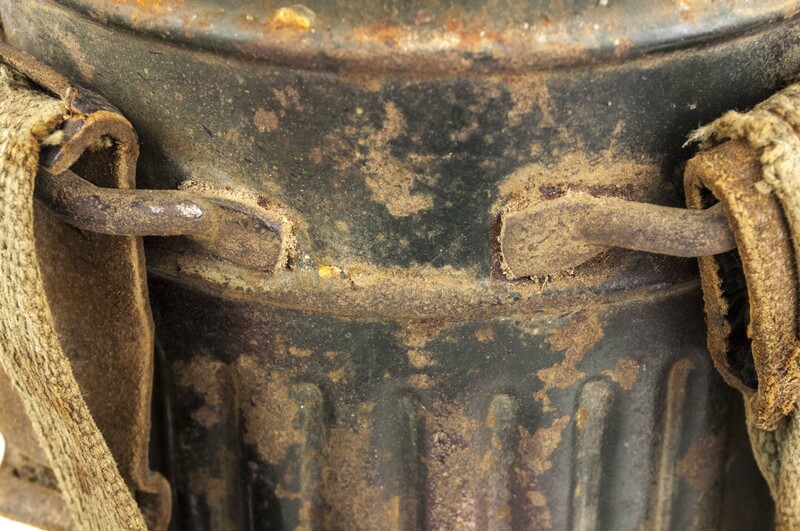 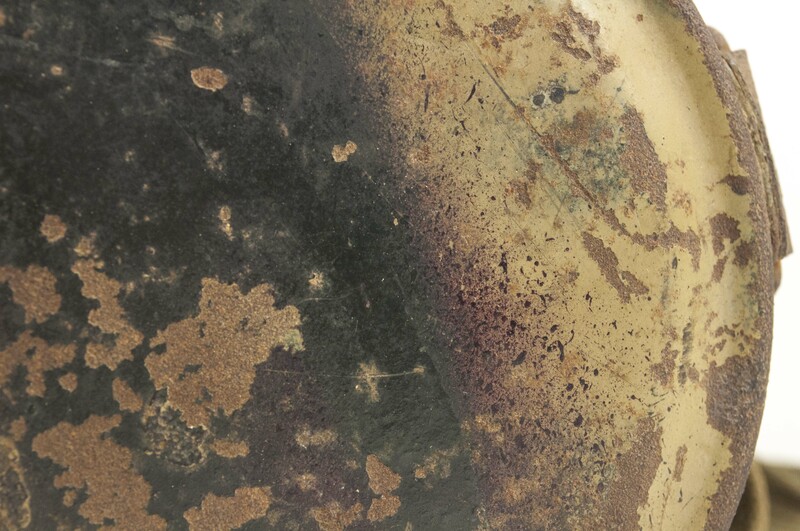 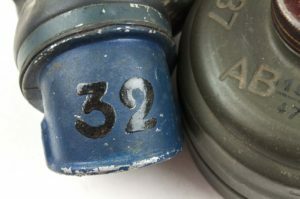 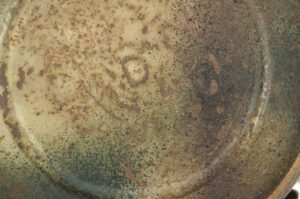 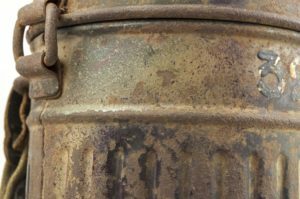 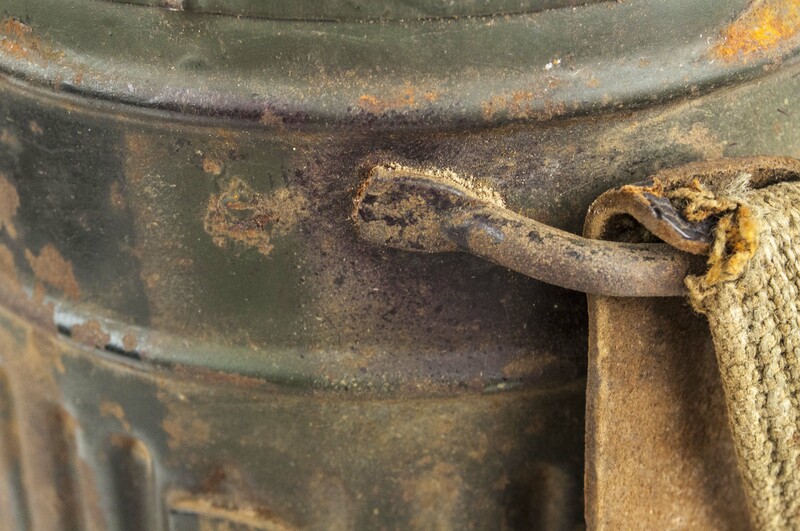 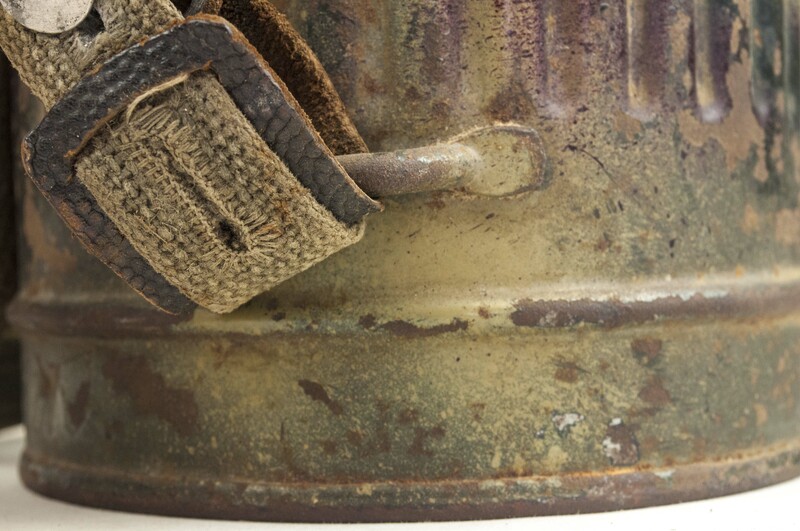 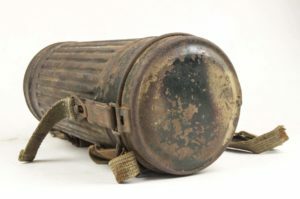 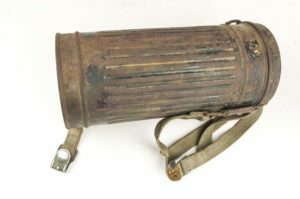 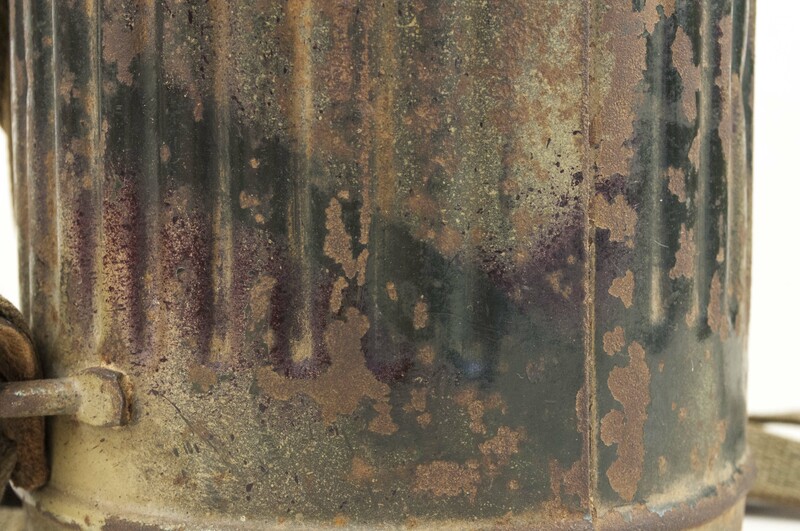 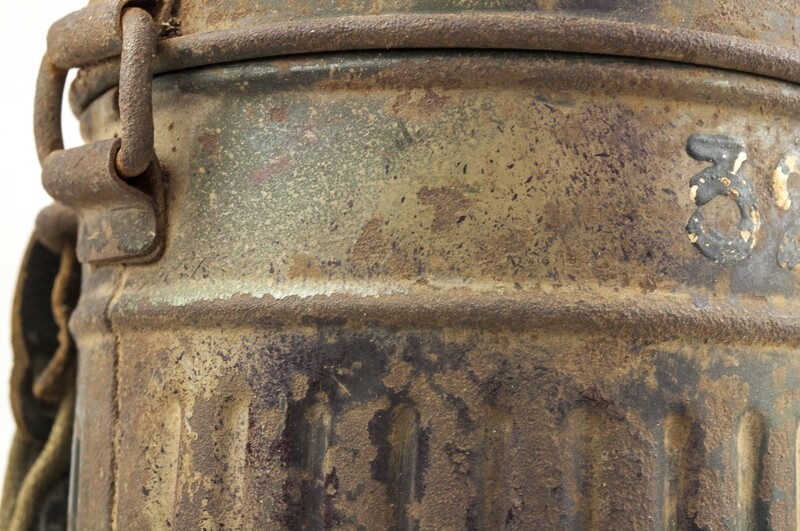 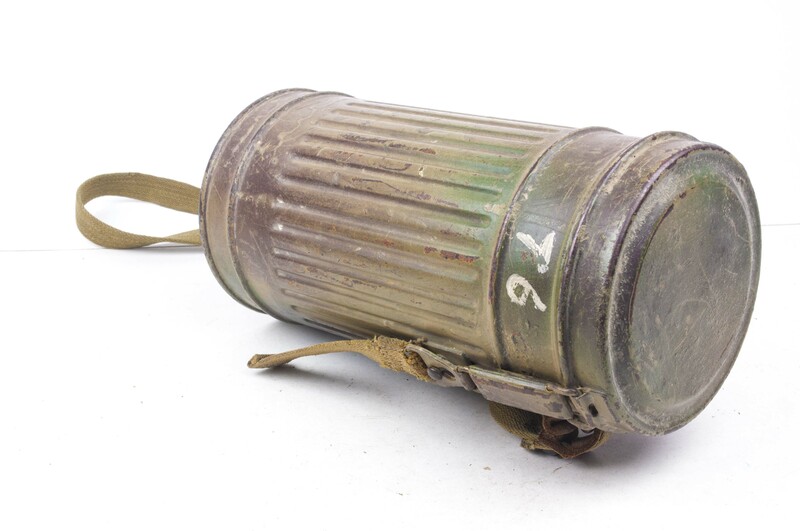 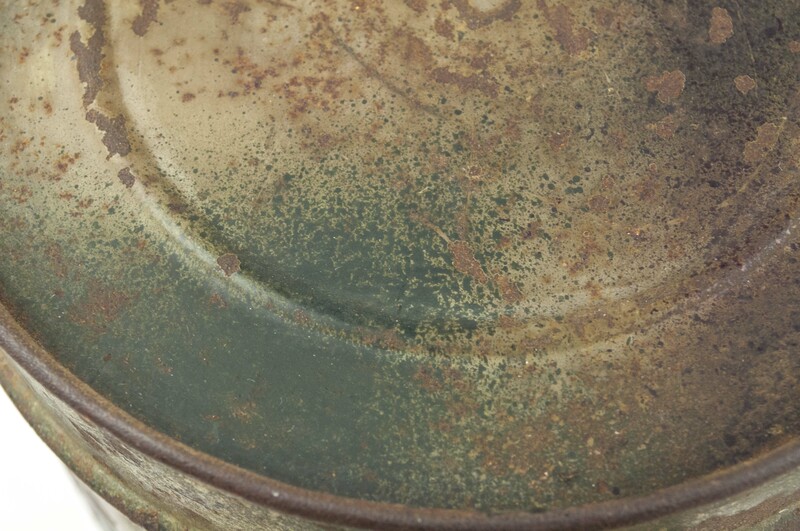 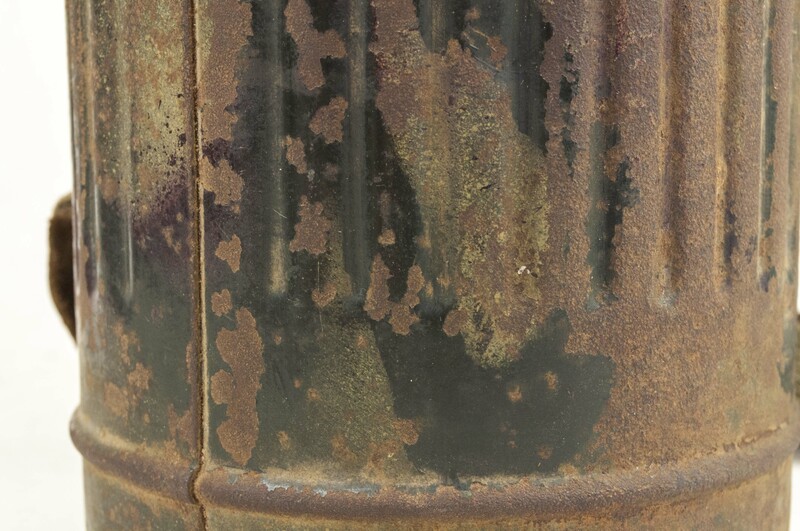 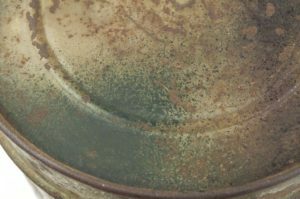 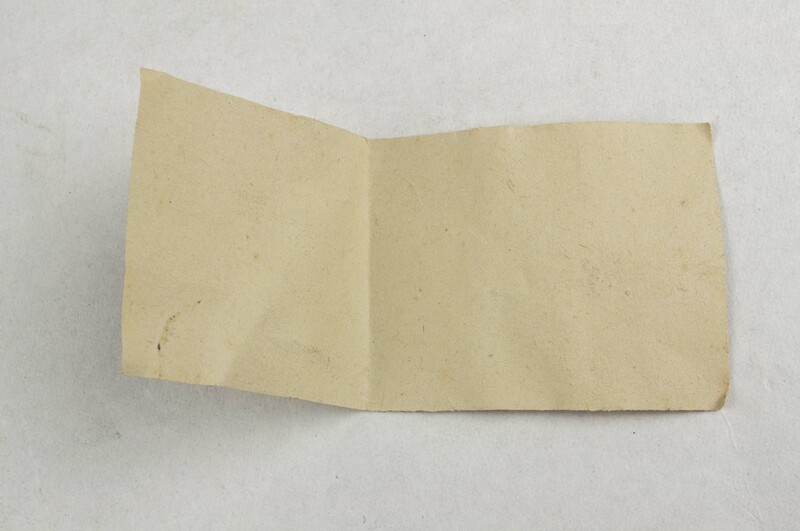 Several small changes where made to the canisters appearance ranging from the length of the canister to sealing the lid of the canister to make it dust tight. 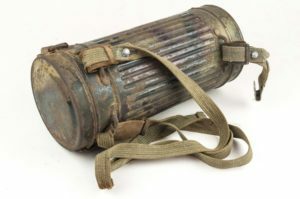 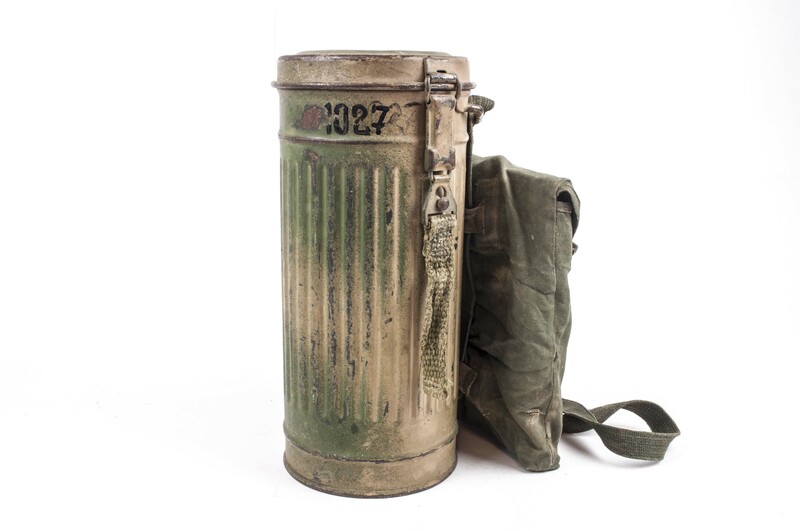 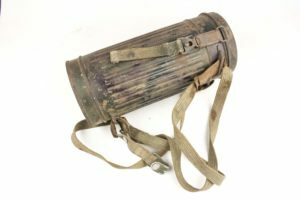 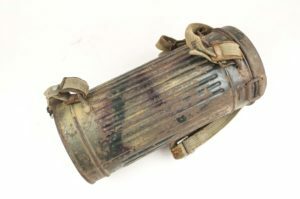 Notes: The shown gasmask canister is of the tall model and features a wartime applied three tone “Normandy” camouflage pattern. 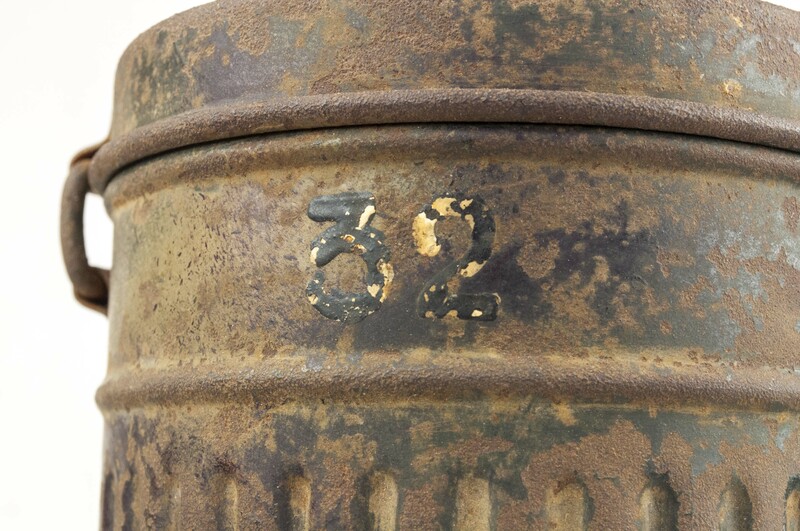 Flakscheinwerfer-Abteilung 268 was moved to Koningsberg late 1944 in which it saw fierce battles.